Adjustable Battery Operated Metal Detector | BUDK.com - Knives & Swords At The Lowest Prices! 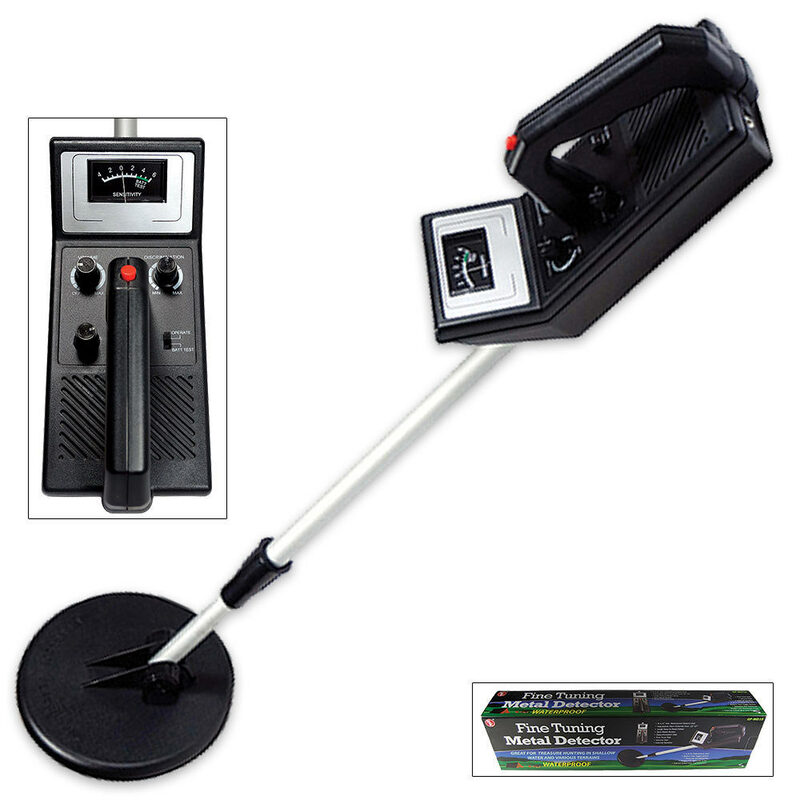 You never know where you might stumble upon some buried treasure, and this easy-to-use, high-tech metal detector will help you with your hunt! 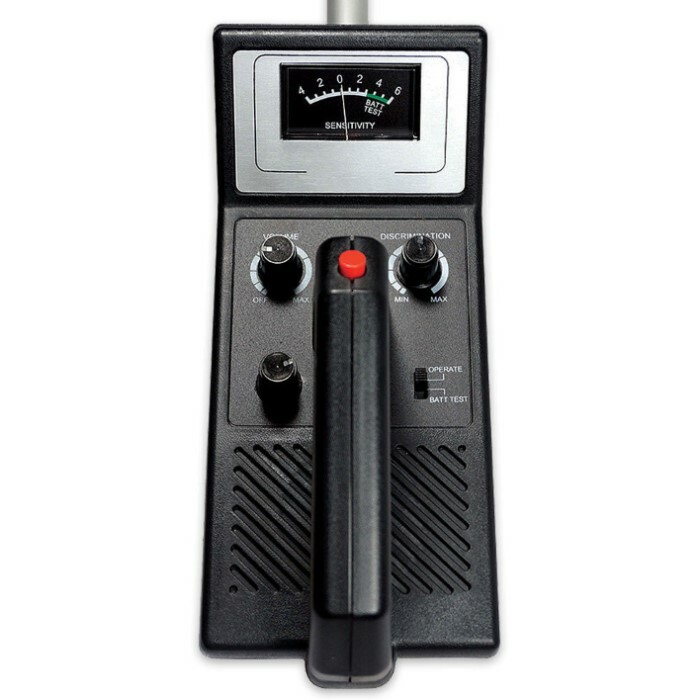 The adjustable stem extends from 15" to 27", and the oversized meter is easy to read. 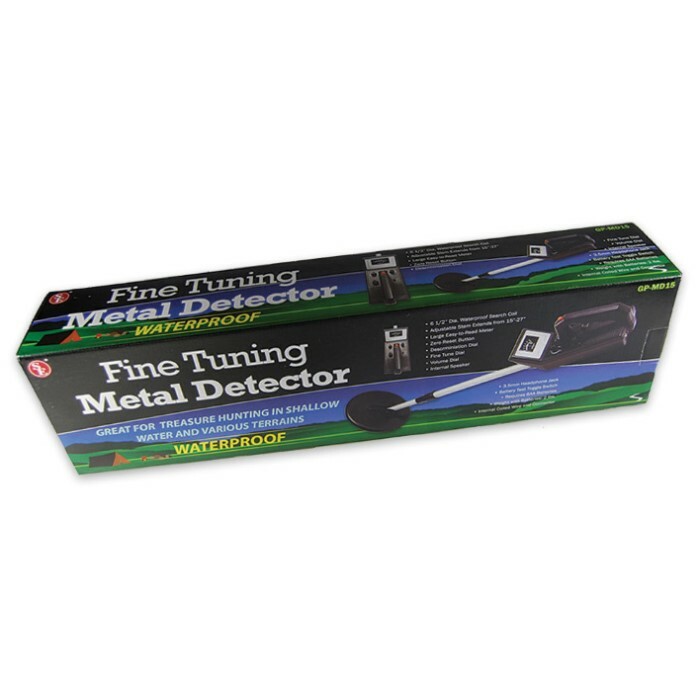 The zero reset button, fine-tune dial, volume dial, internal speaker and 3.5mm headphone jack add tons of convenience factors to this metal detector. It comes to you preassembled and features a 6-1/2" diameter waterproof search coil, making it great for hunting treasure in shallow water as well.